Our modern firearm replicas are guns and rifles that have been created within the last 100 years. Modern firearm replicas include the .357 magnum in all barrel lengths, the most well known AK-47 tactical assault rifle and the Lee Enfield rifle just to name a few. All our modern firearms are just replicas and can not fire live ammunition. These firearms are made to look authentic as possible to the originals. Modern firearm replicas are great for stage props, theatre productions and collectors. Most of these modern firearm replicas are made in Spain by the manufacturer Denix. 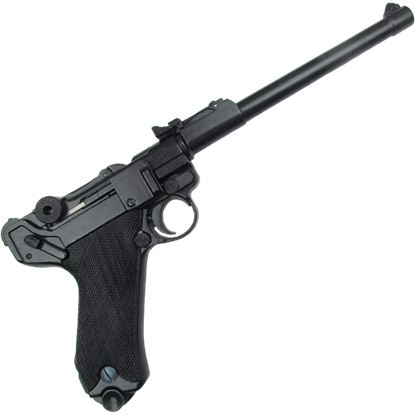 The 1898 Alemania Luger P08 Pistol was one of the first semi-automatic pistols, and because of its unique design it is also one of the most recognizable. First produced in Germany, this pistol saw use throughout World War I and II. 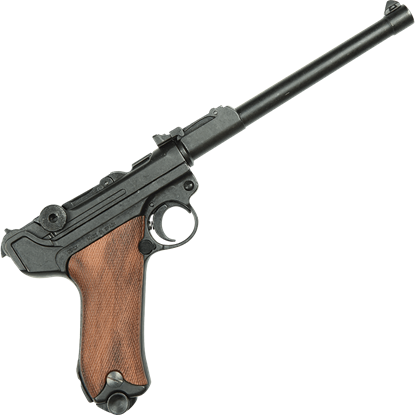 The 1898 Alemania Luger P08 Pistol with Wood Grips was one of the first semi-automatic pistols, as well as an instantly recognizable firearm from history. First produced in Germany, this pistol saw use throughout World War I and II. The 1898 Parabellum Luger P08 Pistol was one of the first semi-automatic pistols, and because of its unique design it is also one of the most recognizable. First produced in Germany, this pistol saw use throughout World War I and II. The 1898 Parabellum Luger P08 Pistol with Wood Grips was one of the first semi-automatic pistols, as well as an instantly recognizable firearm from history. First produced in Germany, this pistol saw use throughout World War I and II. 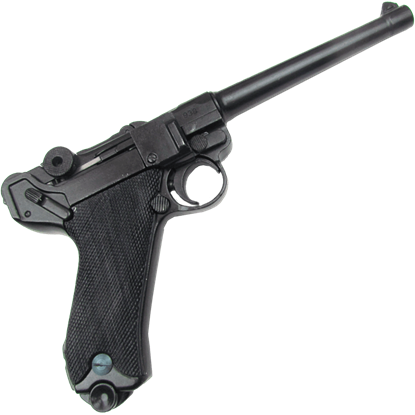 The 1917 Artillery Luger P08 Pistol was one of the first semi-automatic pistols, and because of its unique design it is also one of the most recognizable. 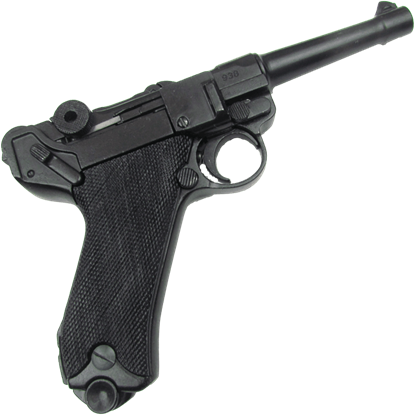 First produced in Germany, this pistol saw use in both World War I and II. 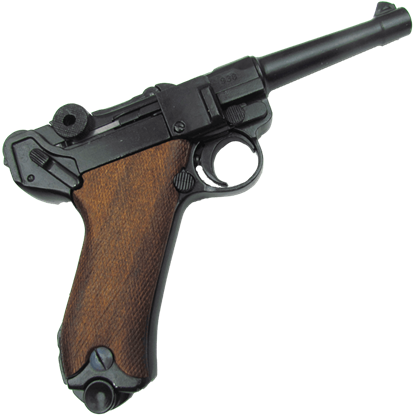 The 1917 Artillery Luger P08 Pistol with Wood Grips was one of the first semi-automatic pistols, as well as an instantly recognizable firearm from history. 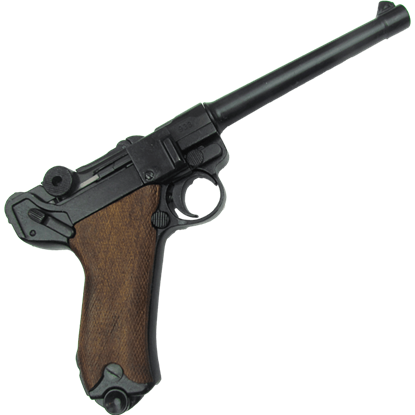 First produced in Germany, this pistol saw use in both World War I and II. The 1941 U.S. M1 Carbine Rifle is a replica of one of the most produced weapons in the United States military history. It was first adopted as the primary U.S. military firearm during WWII and remained in use for 31 years. The 1941 U.S. M1 Carbine Rifle with Shoulder Sling is a replica of one of the most produced weapons in U.S. military history. 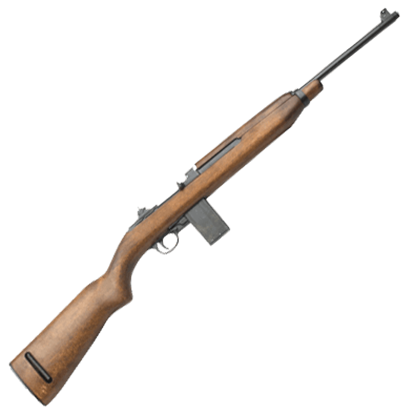 It was adopted as the primary U.S. military firearm during WWII and remained in use for 31 years. 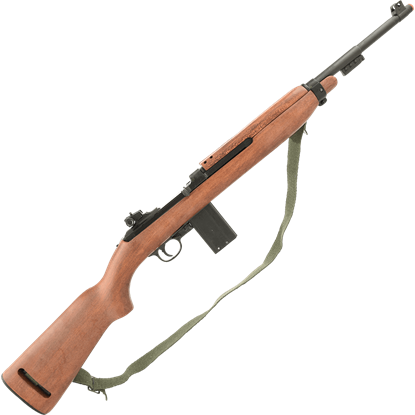 The 1944 U.S. M1 Carbine Rifle is a replica of one of the most heavily produced weapons in United States military history. It was first adopted as the primary U.S. military firearm during WWII and remained in use for 31 years. The 1944 U.S. M1 Carbine with Shoulder Sling is a replica of a heavily produced weapon in United States military history. It was adopted as the primary U.S. military firearm during WWII and remained in use for 31 years. 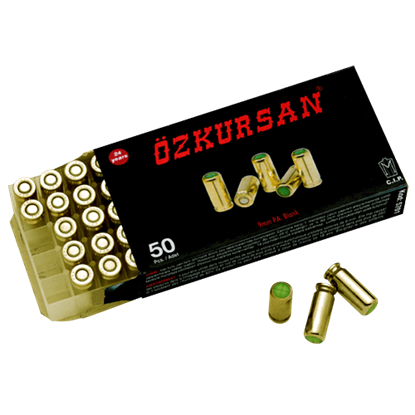 This 9mm PAK Blank Ammunition Pack is designed to be used with any of our blank firing replica pistols. Blank cartridges are designed to recreate the flash and sound of a fired gun, without including a dangerous projectile. 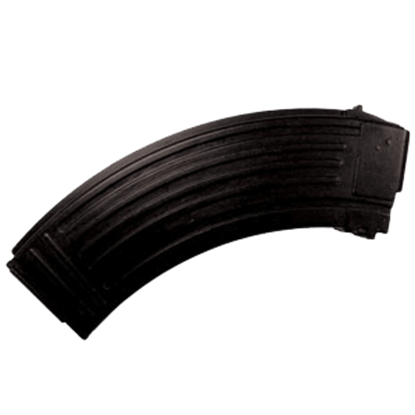 AK-74 Magazines have an elevated horizontal rib on each side of the rear lug to prevent their use in a 7.62 by 39 mm AK. They can be quickly recharged from stripper clips. The AK-47 Magazine Clip is a great replica for your collection.